Pigeon control is the one of the best preventative methods which incorporates a combination of pigeon culling, pigeon netting for the larger areas, and using pigeon control products, such as sprung loaded bird wire systems, and anti-roosting point for ledges will prevent pigeon from roosting and contaminating walkways and service areas where air conditioning units have been installed. 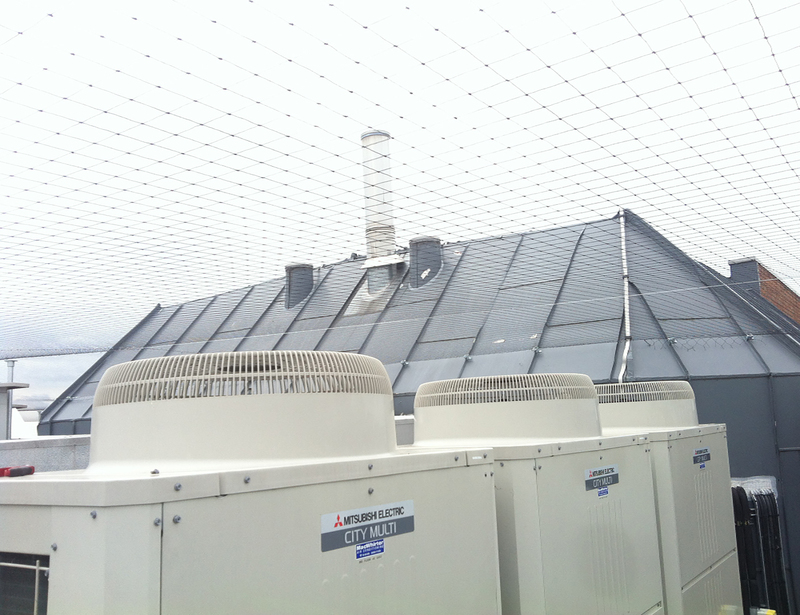 Pigeon control is one of the solutions we offer that will cover and protect larger areas like, light well enclosures, air conditioning cooling towers, loading bays, large roof structures, plant room equipment and the list goes on. 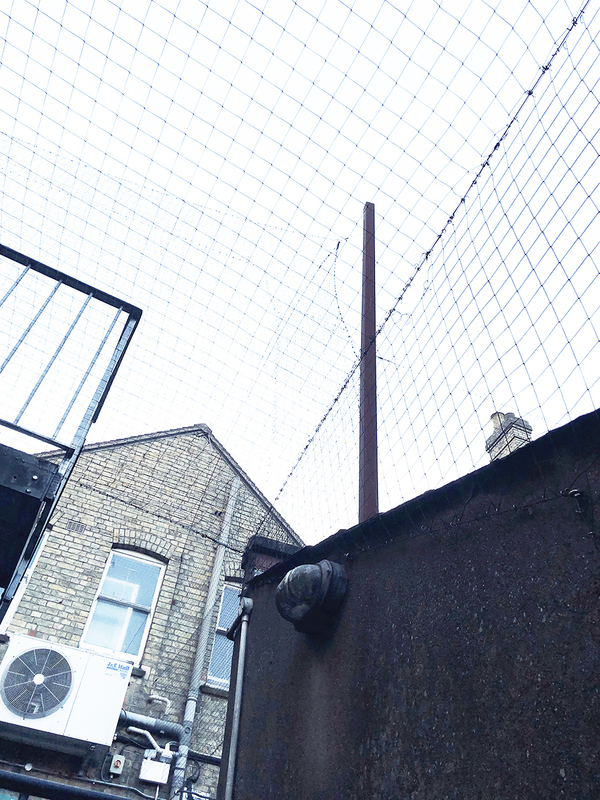 In this example on the right we have installed a 50mm black polypropylene pigeon netting over the entire roof plant machinery to prevent pigeons from nest and roosting under the supports, which prevents contamination from pigeon guano preventing services being carried out. 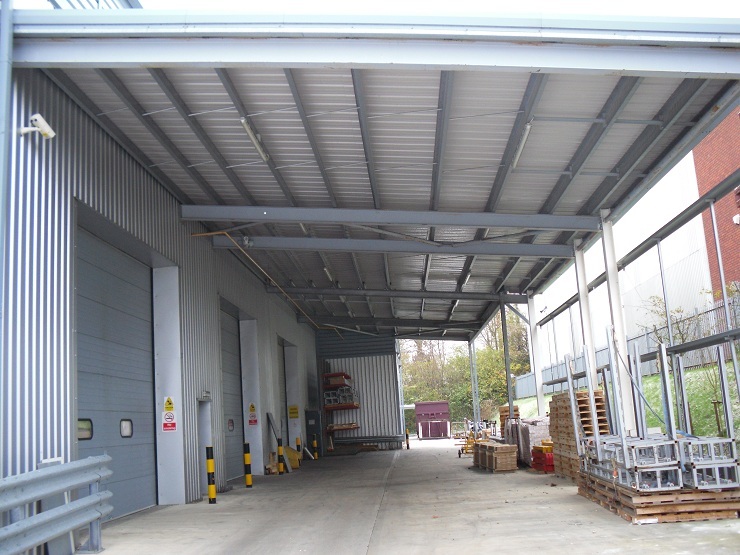 In this example to the left we have prevented the pigeons from nesting on the steel roof supports contaminating anything below resulting complaints from client receiving logistics from this storage facility. Pigeon control solutions for this roof structure was a 50mm polypropylene netting installed with access zips to service the lighting in the loading when necessary.